It’s more and more difficult to stretch a dollar these days, and there’s nothing harder to deal with than bored kids who just want “something to do.” Well, there are lots of things to do in Missouri that don’t cost a dime and will keep the kids happy and occupied. You just need to know where to find them. The St. Louis Art Museum is one of the nation’s leading museums with exceptional works from virtually every culture and time, including Oceanic art, ancient Chinese bronzes, and 20th Century German art. Classes on different topics are also held for those who want to dive more deeply into a certain type of art. The nearby St. Louis Zoo offers kids the chance to pet guinea pigs and goats and see naked mole rats up-close and personal. There’s a large colony of meerkats -- which the kids may recognize from the TV show “Meerkat Manor” or perhaps the animated tale, “The Lion King,” and an active family of small Fennec foxes with huge ears. The Children’s Zoo also has a “Just Like Me” play area where children can climb a giant spider web or dig like an aardvark in a sandbox. The indoor space is divided into desert, forest, water and backyard, and kids can crawl through the Frog Surround, climb a cool tree house or “drive” a jeep through a savannah. The Whittle Shortline Railroad in Valley Park, a locally owned train store, has a 15-foot-long train table so little engineers can try out the merchandise. Parents hang out on benches while the kids play with the trains, so everybody’s happy. In Branson, the rolling Ozark Mountains provide a beautiful backdrop for an outdoor wonderland that is available free of charge all year long. 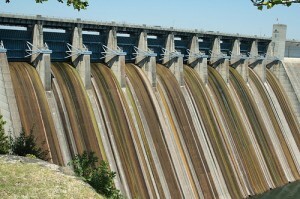 The Table Rock Lake Dam is an engineering marvel that attracts crowds of people, and the Shepherd of the Hills Fish Hatchery is one of Branson’s most popular tourist sites. Several of the Branson theaters open their doors to the public at no charge on Sunday mornings for gospel singing. In Kansas City, kids can sit in a jury box, on the witness stand or be handcuffed at the Charles Evans Whitaker U.S. District Court, which offers free 2 -1/2-hour tours with presentations by several law enforcement agencies. Tours must be scheduled in advance. 816-512-5016. Stop by the Federal Reserve Bank and peek into two vaults where money and valuables are stored. Learn the history of U.S. currency and watch a high-speed sorter count, sort or destroy 100,000 bills in an hour. More than 1,700 dye-cast antique toy trucks are on display at the American Truck Historical Society in Kansas City. There’s also a library with histories and memorabilia from truck lines. It may not seem like it, but spring is never too far away in Missouri, and the state’s Bennett Spring State Park, near Lebanon, will be offering a Free Kids’ Fishing Day on May 1. Children ages 15 and under will receive a free tag to fish in a special fishing area at the park. Volunteers will help kids with knot tying, lure selection and fishing tips. All kids will receive a free "goody bag" as well as free lunch from 11 a.m. to 1 p.m. All anglers must abide by daily limit rules and normal fishing hours for May (6:30 a.m. to 8:15 p.m.). This popular event offers the whole family a great opportunity to enjoy a wonderful fishing experience and the scenic beauty of Bennett Spring State Park. For more information call (417) 532-4307 or visit online at www.mostateparks.com/bennett.htm. For more free family fun ideas, or to get a copy of the 2010 Official Missouri Travel Guide, log on to www.VisitMO.com or call toll-free 800-519-4800.